Whether Marvel's narrative risk pays off is something audiences will be debating until the next installment. But when it comes to the lynchpin movies, the “crossover” films upon which the entire enterprise hangs, the studio has always played it pretty straight. With “Infinity War,” the franchise takes things to a whole new level, however, by giving audiences an old-fashioned Shakespearean tragedy instead of a cheerful comic book movie with a happy ending. When it comes to the “crossover” films upon which the entire enterprise hangs, the studio has always played it pretty straight. With “Infinity War,” the franchise takes things to a whole new level. 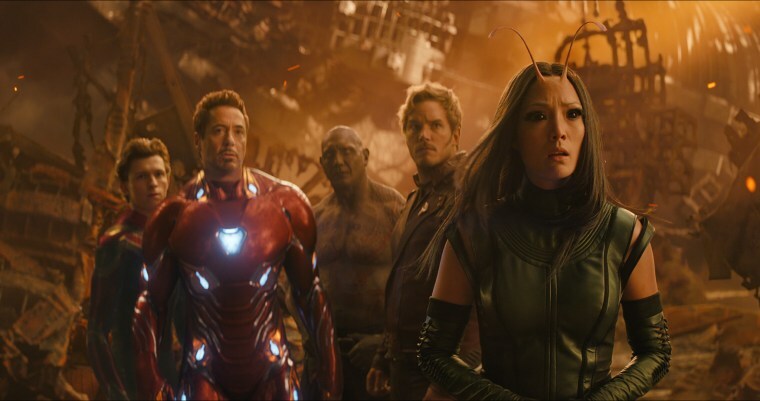 For better or for worse (and “Justice League” was definitely for worse), “Infinity War” showed sequel-loving Hollywood how to take new material and still brand it a sequel, with the understanding that the characters would all eventually meet up together in a massive crossover event. This is how a psychedelic comedy trip like “Guardians of the Galaxy” could be billed as a sequel to “Iron Man 3” and “Captain America: The Winter Soldier.” It was a strategy that seemed good for Hollywood and good for fans, but it couldn’t last. How does one handle a film with 22 lead characters? From the outset, Marvel’s movie arm, known as the Marvel Cinematic Universe (the MCU), defined itself as a family-friendly company. Even in the direst of situations, Marvel characters never lose their sense of snarky good humor — as the original “Iron Man” and the first crossover “The Avengers” prove. (This is partly why Robert Downey Jr. was such a good fit and indeed has come to embody a lot of what the MCU stands for today.) The style is now so recognizable that 20th Century FOX’s superhero hit “Deadpool” spent much of its nearly two hours lampooning MCU clichés. Make no mistake, “Infinity War” is still full of snarky humor, especially when characters accustomed to being the center of attention in their own little franchises meet for the first time. Egos are challenged, barbs are thrown. Such little moments, while predictable, are also where the film feels most confident. But the movie still suffers from its massive character count. This is a problem of Marvel’s own creation, of course, since it has always been so focused on the crazy extended family trope. Killing off characters is much trickier to do in the MCU, unlike, say, in the DC Comics franchise, which is much more brooding and tortured. The Avengers would rather fail because they cannot bear (as Spock so brilliantly put it) to remember that the good of the many outweighs the good of the few. All of which makes the plot of “Infinity War” — and its body count — that much more risky. And whether this movie actually succeeds in pulling off its tragedy arc is something audiences will be debating until, well, the next installment comes around. The film suffers from its massive character count. This is a problem of Marvel’s own creation, of course, since it has always been so focused on the crazy extended family trope. When director Joss Whedon pulled off the first “The Avengers,” he only had five characters to mix together. By his second, “Avengers: Age of Ultron,” he had reached double digits, and the movie ended up feeling like a series of great vignettes in search of a coherent plot. For “Infinity War,” Marvel turned to directors Joe and Anthony Russo, who are on their third Marvel film and second Marvel crossover. The brothers’ first crossover attempt, “Captain America: Civil War” (which should really have been called “Avengers 2½: The Smell of Civil Liberties”) produced nice sequences, but lacked plot focus. Learning from that experience, the pair leans into the vignette structure in “Infinity War.” The characters are divided up into smaller factions, and each scene crosscuts with other threads so that individual heroes get screen time without totally sacrificing the narrative. In this case, that narrative seems to revolve around the notion the all heroes suffer from the same fatal flaw: they cannot bring themselves to allow other members of the team to be hurt in order to stop a catastrophic ending. There is one problem though: This is Marvel, not Shakespeare. And so like all comic books, characters really can’t stay dead. Next year’s crossover sequel will have to find a way to bring back at least some of the characters they "lost" this time around. But even if the devastation is only temporary, Marvel has shown that they are willing to mature a little. One might argue such an evolution is long overdue. “Black Panther” was a huge step forward, but in the end, the plot of the film was still the same familiar Marvel clichés, just shown from a new perspective. “Infinity War” gently asks the audience to come along with it on this journey of growth, even if it feels a little painful. So even if this experience is only temporary, it still feels like a (baby) step forward for comic book movie kind.